A computer hacker has been jailed for two years for masterminding global online attacks as a teenager from his bedroom in Hertfordshire. 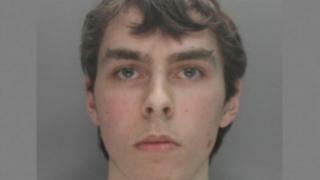 Adam Mudd, now 20, admitted creating malware in 2013 which was used to carry out 1.7 million cyber attacks. Among the victims were gaming websites including Minecraft, Xbox Live and the fantasy game Runescape, the Old Bailey heard. Judge Michael Topolski said Mudd "knew full well this was not a game". Mudd, who has autism, will serve his sentence in a young offenders institution. The judge said he could not suspend the jail term because he needed the sentence to be a "real" deterrent to others. Mudd was 16 when he developed a programme called Titanium Stresser, the court heard. He set it up using a false name and an address in Manchester. It had 112,000 registered users, who in turn attacked 666,000 IP addresses globally. The attacks, known as 'distributed denials of service', left companies paying millions to defend themselves against it. The teenager earned more than £386,000 worth of US dollars and Bitcoins from selling the programme to international cyber criminals. The Old Bailey heard that he also personally carried out 594 attacks, including one on West Herts College where he was studying computer science. Mudd also targeted up to 70 schools and colleges, including the University of Cambridge, University of Essex and University of East Anglia, as well as local councils. Police said that when he was arrested in March 2015, Mudd was in the bedroom of his home in King's Langley and refused to unlock his computer until his father intervened. During sentencing Judge Topolski noted that Mudd came from a "perfectly respectable and caring family" but the effect of his crimes had caused damage "from Greenland to New Zealand and from Russia to Chile". "I'm entirely satisfied that you knew full well and understood completely this was not a game for fun," he told Mudd.